Pakistan is a country super rich in sporting talent. From cricket to Kabaddi, to hockey, the nation has produced legend after legend in almost every recognized sport there is in this world. Hockey was Pakistan’s national sport ever since the birth of the country. To Pakistan, Hockey was like football is to Brazil. Hockey meant everything to the Pakistani supporters, and for reasons understandable. Pakistan’s hockey team was a force to reckon with, not for a short period, but for decades and decades. But like every good thing comes to an end, slowly, Pakistan’s hockey mojo started diminishing. The passion could be seen vanishing, fading in the dark. But that didn’t kill the passion for sport in the country. All along, hockey kept being replaced by a new profound love for the nation, “Cricket”. Pakistan cricket kept rising and rising. Cricket’s soul settled on Pakistani soil, and today, every household has cricket lovers in abundance. An extensive fanbase naturally leads to an extensive talent base. And that was cricket in Pakistan has been in the last 3 decades. In Pakistan, there is cricketing talent everywhere, on the streets, in villages, clubs etc. Everywhere! Just like the footballing structure in England is super vast, with several tiers that divide football clubs, the cricketing structure in Pakistan has a well detailed heirarchy! In a country as talented and huge as Pakistan, it is almost impossible to construct the strongest possible starting 11 national side. In all fairness to the selectors and scouts, selecting the best 11 players from the entire country is a job too difficult to be flawless in. Some players in the past have been lucky and priveleged enough to make it to the top of the food chain, while some havent been so blessed. One of the biggest flaws in Pakistan’s cricket over the years has been the inaccurate hunt for talent. Although the team has had its fair share of sucess among the Asian teams in the last 3 decades, cricketing experts would feel Pakistan has been a massive underachiever in world cricket, considering the potentially world class talent at the nation’s disposal. Below the international level are the two biggest tiers of Pakistan club cricket, “First Class Cricket” and “List A Cricket”. The National Cricket Academy is where young players are brought in and nourished to professional status. In a layman’s terms, a player who is found to be talented on the streets or the villages, is trained by the NCA and if the player trains well enough to be moved onto the next level, he is moved to the List A level and First Class level respectively. Because of the sheer amount of talent and competition in the whole country, not all talented players are lucky enough to jump onto the next level. Some talents are extraordinary, in such cases, even a 16 year old player could be deemed talented enough to play for the national side. But in the cases of most players, it takes years of wit, hardwork and determination to even be considered for the national job, and theres every possibility they still won’t make it! That is indeed the sad reality of cricket in a country that bleeds the sport! Over the years, there have been countless examples of super talented players never being able to make it to the top most level, that is International Cricket. Rafatullah Mohmand is a Pakistan cricketer, who was born to a Peshawary family in the capital of KPK. Rafatullah’s cricketing career needs more of an introduction and description than just the fact that he is a right handed batsman and a left arm orthodox spin bowler. Rafatullah’s debut on the domestic scene dates back to 1996. Since then, he has played for a host of first class teams in Pakistan. His career kicked off on the 1999-2000 season, when he scored a match winning double hundred (213) against Faislabad. The innings made sure, Rafatullah’s club Redco Pakistan Limited beat Faisalabad by an innings margin. Rafatullah also holds a triple century to his name, as a result of his 302 not out for WAPDA against Sui Northern Gas Company in the 2009-10 season. This was the ultimate highlight of Rafatullah’s domestic career, not just because of the stunning triple hundred, but also because he became a world record holder alongside his battig partner Aamer Sajjad. The pair registered 580 runs for the second wicket partnership, a feat achieved by no batting pair in cricket’s history. The partnership went down as the highest in Pakistan domestic history, and the second highest in the world’s first class cricket history. The closest Rafatullah came to playing for the Pakistan national side was when he toured Australia with the Pakistan A squad in 2006. He played 3 List A games and 1 first class match there. Rafatullah was invited to represent the Afghanistan national squad in 2009. According to then Afghanistan batting coach Kabir Khan, Rafatullah’s addition was proposed in a bid to increase the strength in the Afghan batting lineup. 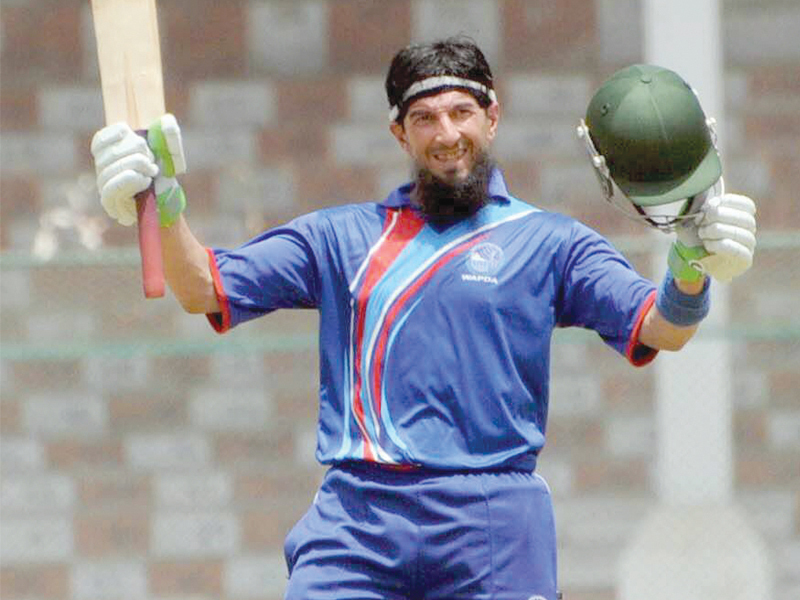 The Peshawar born batsman was also included in the 15 man Afghanistan squad for the 2009 ICC World Cup qualifiers in South Africa. However, his name was removed from the list, in a dispute that made him illeligible to play for Afghanistan. Rafatullah started off his career playing for Peshawar in the 96-97 season. In the 1999-2000, he represented Redco Pakistan limited. That season was what many believe the “kickstart” to his domestic career. The very next season, Rafatullah signed for WAPDA, where he also returned for a spell in his last season (14-15). He represented Habib Bank in the 2002-03 season, and KPK in 2007-08 season. In the 2008-09 season, Rafatullah played for both, KPK and Habib Bank Limited. Rafatullah had a partner from his siblings. His elder brother Asmatullah Mohmand played First Class cricket in Pakistan from 1995 to 2004.